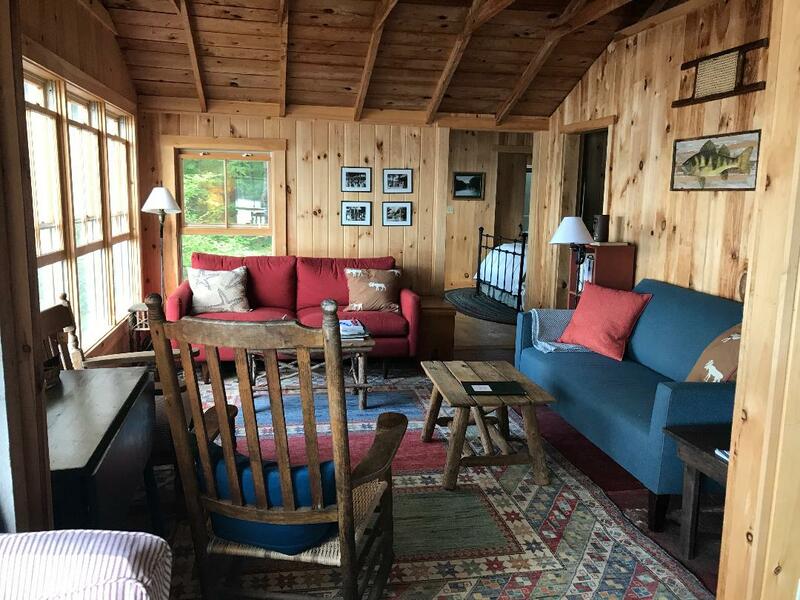 Perched on the edge of the lake, this cabin is in a wonderfully private setting with beautiful views of Blueberry Island and the osprey nest. 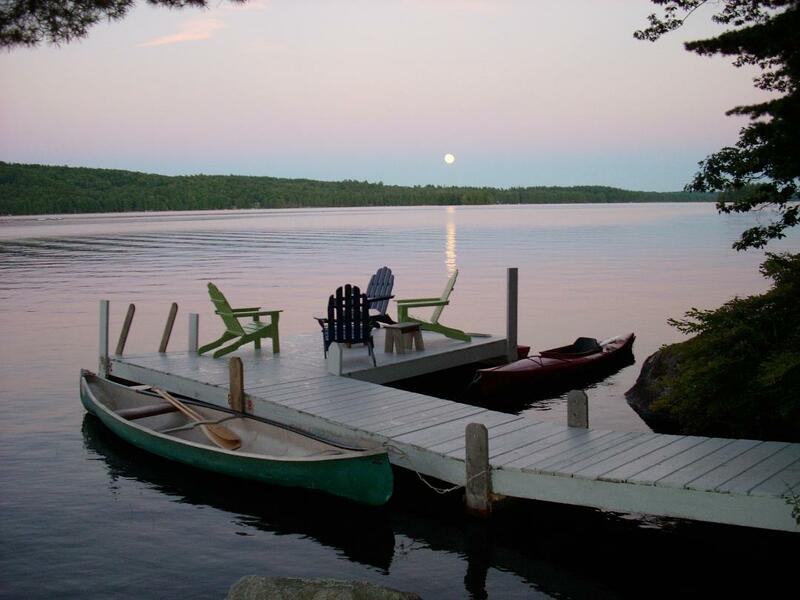 With calm, deep water, it is perfect for swimming, kayaking and canoeing. 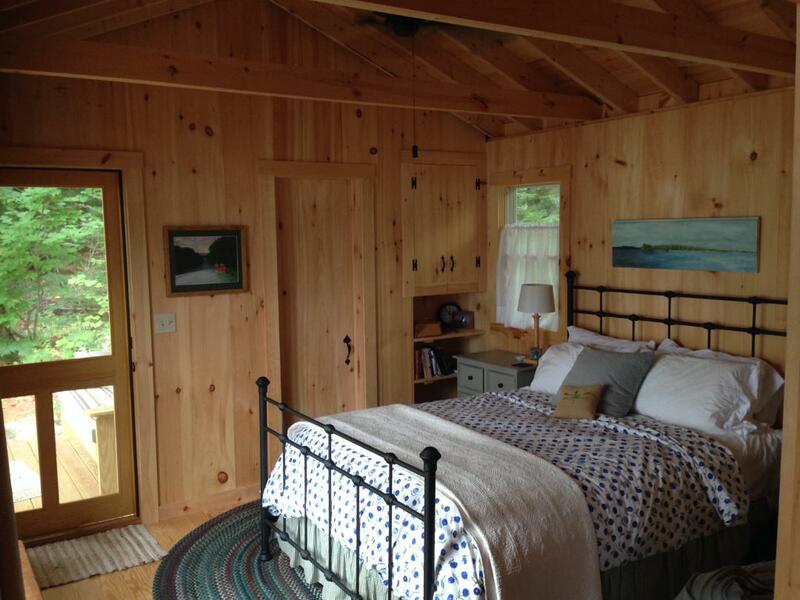 The three bedrooms have one queen, one double and three twin beds which can be converted to a king. The kitchen area has a small refrigerator, microwave and coffee pot. 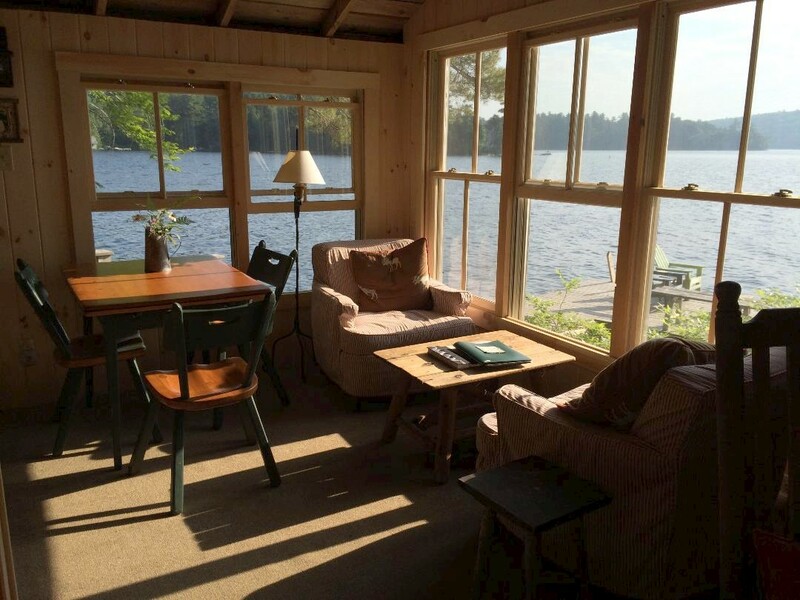 The living rooms have large windows right on the lake. The dock, porch and hammock are all great for reading and relaxing. The cabin includes use of a canoe and kayak.